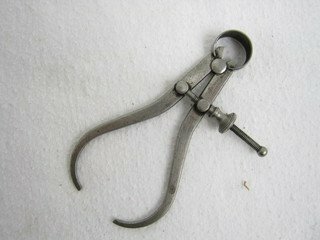 These are tools that were sold in the past. I'm preserving the pictures and descriptions for informational purposes. 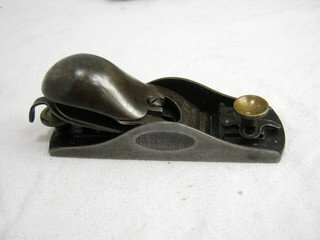 Please View my current list of Tools For Sale. Disston No. 8.i This saw is from the & Son era, ca. 1865-70. The plate is 10PPI, clean and straight with a strong nib. The etch is clear and crisp. 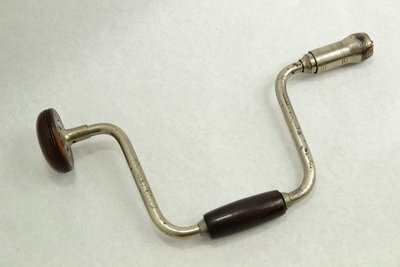 The handle is a replacement but was probably replaced long ago based on its style. The handle fits well and feels good in the hand. Disston D-8 26in 10PPI Crosscut Handsaw. 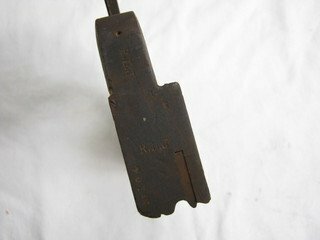 This saw dates tot eh 1896-1917 era and has a virtually perfect blade with a mirror finish, crisp etch,and the original grind mark down the skew back just like you see in the photos. The handle is perfect. The teeth are sharp and the plate straight. Disston D-8 24in Handsaw.This saw has a 24in plate with 12PPI. The plate is bright and shiny with a crisp, bold etch you can read across the room. it's straight and sharp, the handle perfect. Disston D-8 Thumbhole Rip Handsaw.A big 28in saw with 5 1/2PPI. The plate and handle are perfect. The etch is amazingly clear. The teeth are sharp and ready to go. Click for more photos. This item has been sold. Click for more photos. <This item has been sold. Makita Horizontal Wet Grinders.I have two Makita wet grinders/sharpeners for sale today. This machine is one of the best options for both initial grinding and honing of all sorts of edge tools. I've had one for about ten years and it's a fantastic machine. It's useful for both hand and power tools. This is about the only way I've found to accurately and easily grind and hone my planer and jointer knives. The blade holding jig and adjustable table make it dead simple. It's also and excellent machine for grinding bevels on chisels, plane blades, molding plane blades, and other edge tools. It's an easy machine to use because you never have to worry about overheating the edge and loosing the steel's temper. In my opinion the tool's greatest utility is in flattening the backs of edge tools like chisels and plane blades. It's the fastest and most effective method I've found. The machine's motor is powerful enough that even a wide 2 3/4in blade won't bog it down when flattening its back. I like to use mine on my thin kitchen knives as well. Click for more photos. b style="color: red;">This item has been sold. Stanley No. 40 Everlast Chisels These heavy-duty wood chisels were the successors to the famous wood-handle Stanley Everlast chisels. The No. 40s featured 4 1/2in. blades and measured 9 in. overall. 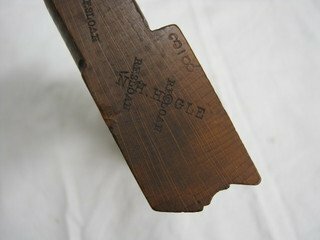 The handles were capped with steel for extra protection from mallet and hammer blows. 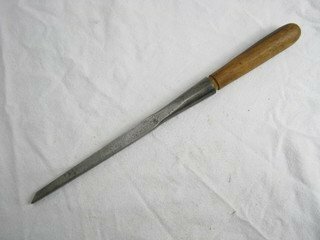 The blades were made of high quality steel and are exceptionally hard. These chisels probably date to the late 40s to early 50s. Click for more photos. These items have been sold.